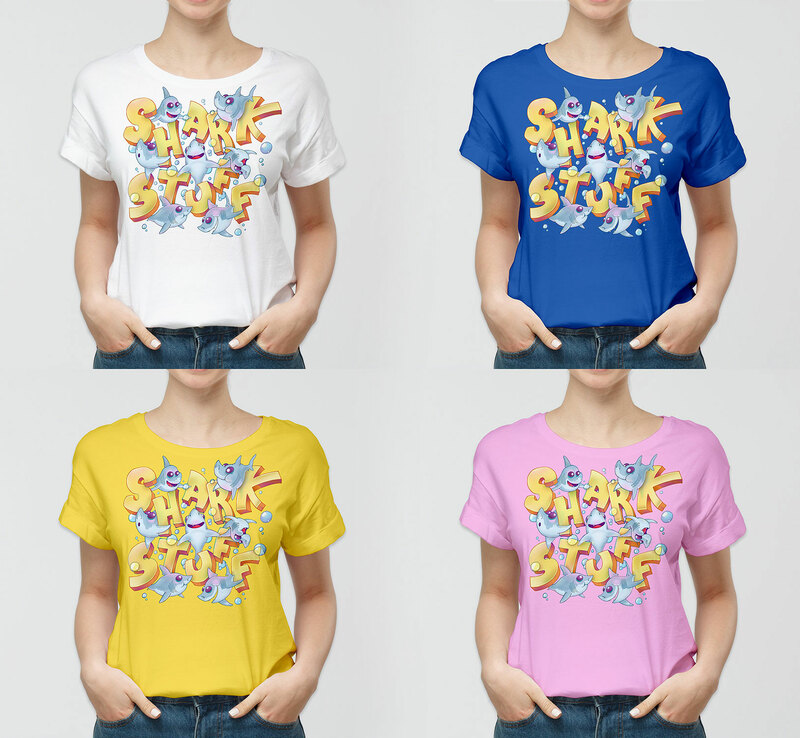 For those who don’t know, SharkStuff is a small, UK-based charity for whom I am a Trustee. Our work is based around the research and conservation of shark species found in the United Kingdom. Porbeagles (relatives of the Great white shark) in particular are the focus of one such study. Education is also a massive component of what we do, engaging the British public with shark species they have no idea even reside on their coastlines. Time to raise some funds! As a charity, we rely on the kind donations of people who believe in and wish to support our work. SharkStuff also likes to return this kindness, by giving people the coolest stuff we possibly can in return. © SharkStuff. Cutie Sharks – Playful Porbeagles! A few drafts have been produced on how the final t-shirts will look. How they turn out exactly, is going to be a question of cost and practicality. 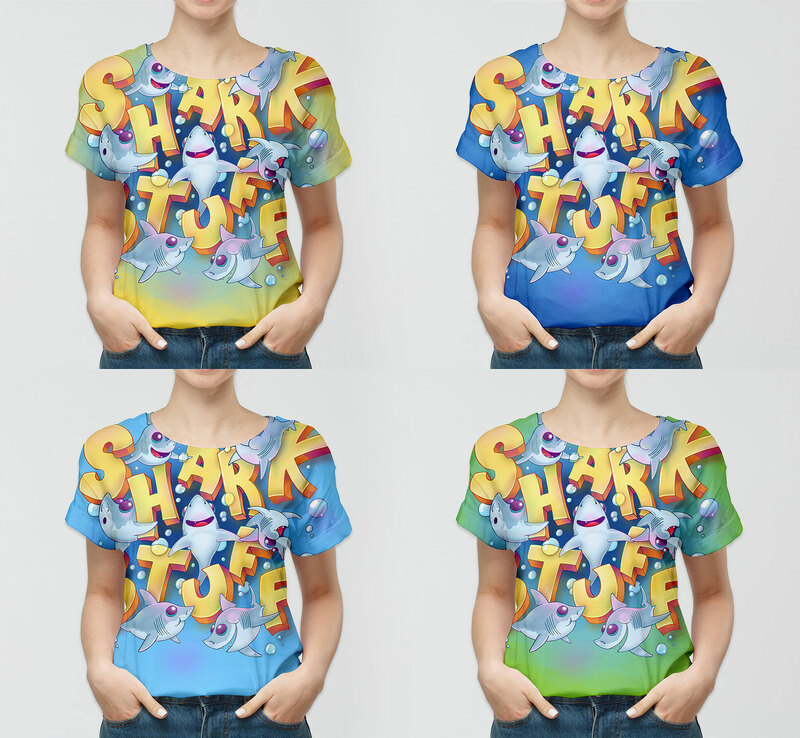 The second features the artwork scaled down to fit within the T-shirt itself, so that the full SharkStuff artwork is on display. If a particular design tickles your fancy more than another, please do let me know. As soon as designs and prices have been finalised, I’ll update my journal accordingly. I’ve also added a video of the colourisation process, because doing so makes me feel special. 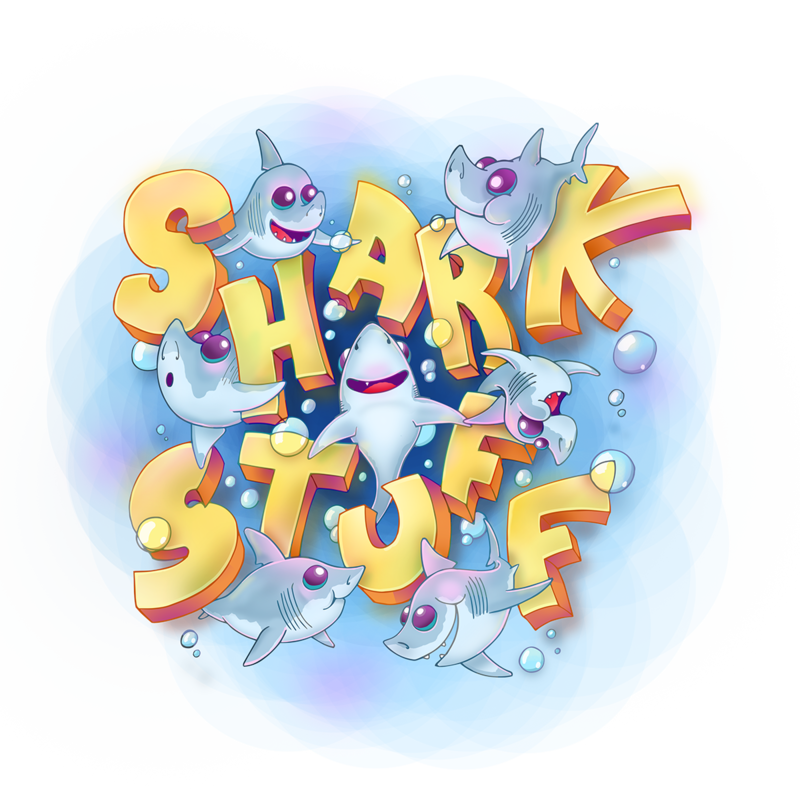 Furthermore – please do visit the SharkStuff website and our Facebook page, to make all of us feel special.